Now an affiliate of the Colorado Rockies, fans of the Boise Hawks will have a learning curve when it comes to where players will be arriving from and going throughout the long baseball season. Players will spend Spring Training at Salt River Fields at Talking Stick – the first MLB Spring Training facility to be built on Indian land in the nation. The Salt River Pima-Maricopa Indian Community partner with both the Rockies and Arizona Diamondbacks to build the facility that features an 11,000 seat stadium, 12 practice field and office buildings that house both Major and Minor League clubhouses. The Rockies do not have a team in the Arizona Rookie League, instead having a team in the Pioneer League – the Grand Junction Rockies. 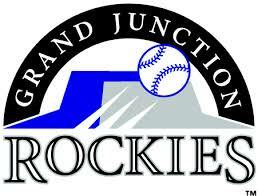 The rookie ball Rockies began play in 2012 after being relocated after playing in Casper, Wyo. (as the Casper Rockies and Casper Ghosts) from 2000-11. The team plays in Suplizio Field, where they averaged 2,200 fans last season, as the club finished with the best record in the Pioneer League (43-33), but failed to qualify for the postseason as they did not have the best record in either the first or second half of the South Division season. Position players who could be candidates to become Boise Hawks include outfielders Yonathan Daza (.370 4 HR 35 RBI, 19 SB), catcher Hamlet Marte (.329 4 HR 33 RBI), and 3B Kevin Padlo (.300 8 HR 44 RBI), along with pitchers Javier Palacios (6-5 6.21 ERA) and Carlos Polanco (6-5, 5.62 ERA).